A new and romantic way to wish Hug Day to the loved one. 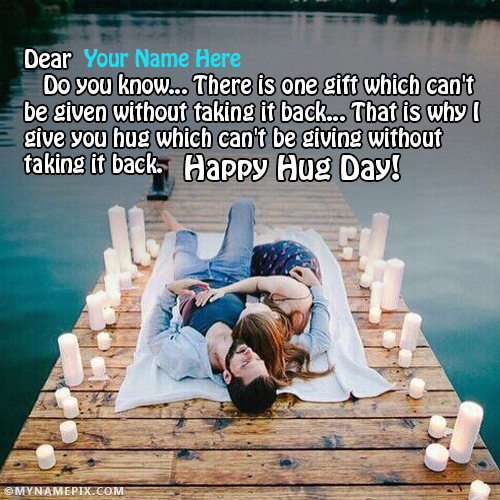 Get Happy Hug Day images with name of your love. Make feel them extra special. Try it, You will love it. There is no other unique way to wish Hug day online. Here you will find the collection of romantic Happy Hug Day Images. On which you can write the name of your loved one. Make your wishes more interesting and romantic.